More than half of all dogs and cats are either overweight or obese, according to the American Animal Hospital Association (AAHA). More than ever before, pet nutrition and weight management play an important role in maintaining veterinary health. Just like with humans, pets need a balanced diet in order to be active and maintain a healthy weight. A balanced diet is also essential for reducing your pet’s risk for a variety of chronic illnesses, including heart disease, diabetes, arthritis and other types of pain. That’s why our Stoney Creek pet nutrition program can make a big difference for your pet’s health. As part of our Stoney Creek pet nutrition services, our veterinarian incorporates nutrition counseling and weight management into regular wellness exams. During your pet’s annual exam, we will weigh your pet and answer any questions that you may have about your pet’s diet. Depending on your pet’s weight, age and activity levels, our veterinarian may also make specialized dietary recommendations. For example, older pets many benefit from foods that support urinary and kidney health, thyroid health, and heart health. 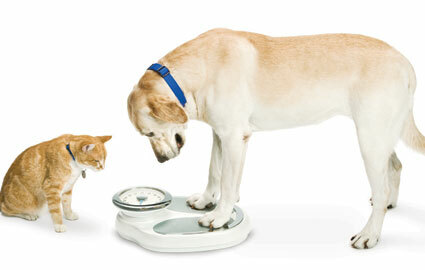 Stoney Creek pet nutrition counseling is not is just for pets that are overweight or aging. In fact, even young puppies and kittens can benefit from these services. As part of our proactive approach to veterinary care, we believe that dietary management should start as soon as a puppy or kitten is welcomed into your family. Even puppies and kittens have unique nutrition requirements. For example, large breed puppies should be fed specialized dog food in order to help them safely gain weight without stressing their musculoskeletal system. Large breed puppies that gain weight too quickly can strain the joints, increasing the risk for join problems such as hip dysplasia. Our Stoney Creek pet nutrition program is also helpful for pets that have been diagnosed with a food allergy. Food allergies are increasingly common in today’s pets. Symptoms of a food allergy include frequently itching, scratching and biting of the skin. If you suspect that your pet has a food allergy, our veterinarian can help you create a specialized elimination diet to pinpoint the exact ingredients that are triggering your pet’s allergic reaction. Once we have determined which foods are responsible, we will then create a customized dietary plan that removes these ingredients from your pet’s diet. For example, kangaroo, venison, sweet potatoes and brown rice are all popular alternatives to many of the meat and starches in commercial pet foods that trigger allergic reactions in pets. Today’s pet stores carry an almost overwhelming choice of pet foods; selecting the right food for your pet can be a challenge. Our veterinarian is here to help. We can answer questions about which type of food is best for your pet’s lifestyle, make recommendations on food portion size and feeding frequency; and suggest special dietary foods to proactive address potential health problems. Contact our veterinarian today to learn more pet nutrition!